The Bobcat Chronicle: Alumni Still Competing Strong! Emily Tato '12 pictured below competed recently at the USA Triathlon National Championships and got 14th in her age group out of 80. With this finish, she qualified to represent Team USA for the 2014 World Championships in Edmonton, Canada next August. Her swim time in this Olympic race was under 19 mins for .9 of a mile, which only 4 women were able to accomplish! Must have been the all the Bates swimming over her four years!! Congrats Emily and best of luck next summer! 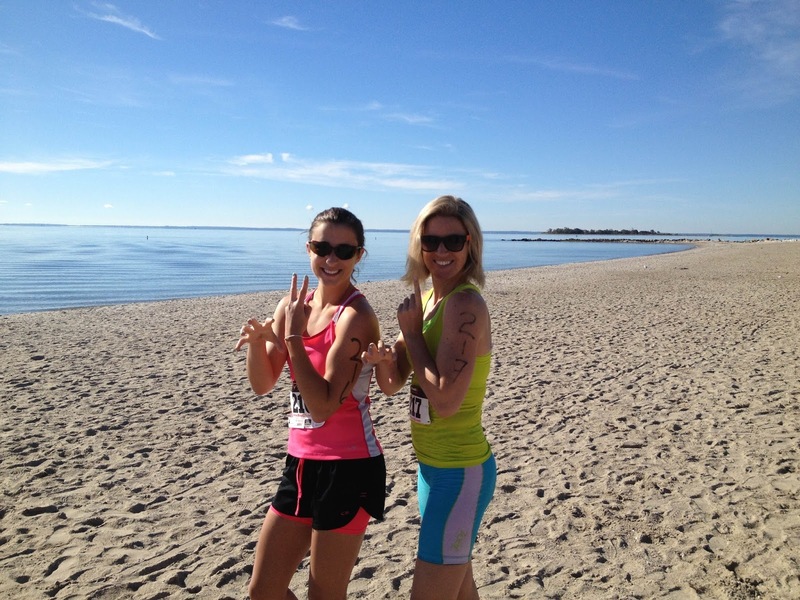 Assistant Swim Coach at Bates, Vanessa Williamson '05, competed in 5 triathlons this summer! The final one was her first Olympic distance triathlon. Even while getting the hang of swimming without lane lines she's dominated the swim legs - and was equally strong in the bike and run. Below is Vanessa pictured with her number one fan... her 3 year old daughter sporting a Bates suit, Gabrielle. 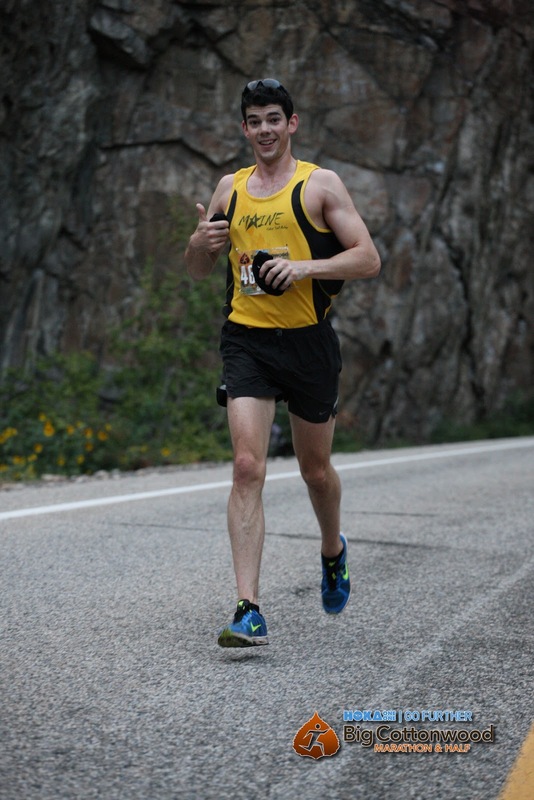 James Peckenham and Erik Baker (both '06) competed in the Cottonwood Half and full Marathon in Utah on Saturday, the 14th of September. 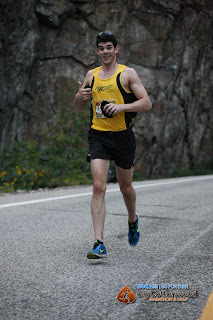 James competed in the half and came in 21st overall, out of 2,000+ and ran it in 1:23.51. 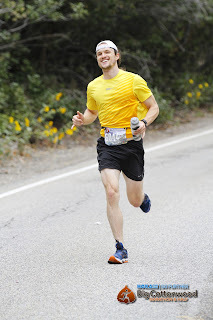 Erik competed in the full marathon and came in 25th out of 1,200+ with a time of 3:01.53 - qualifying him for the Boston Marathon which he will do next year. Baker also competed in a triathlon in Ecuador where he's been living for the past two years. Congratulations men and keep us posted on the next ones! 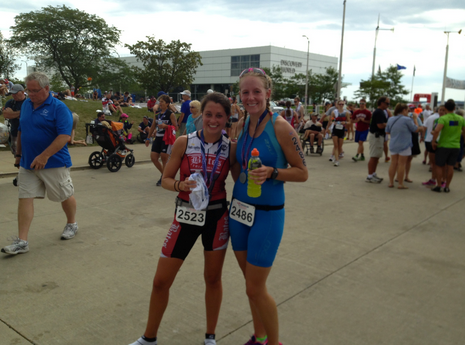 The Sparks sister's competed together in a triathlon this past month. They definitely overcame some adversity on their way to great performances! 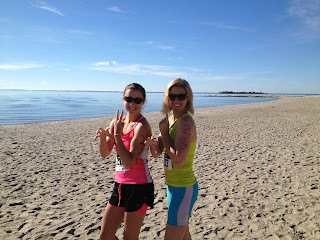 Catherine '13 decided not to wear a wetsuit (low 60 degree water!) and Nicole '05 had her chain come off on her bike leg. Needless to say, the girls did great - 2nd and 1st in their age categories... And, as you can see below, they still remembered to throw up a bobcat paw for the picture.. Way to go! If you've competed shoot Coach Vanessa an email and we will keep adding to the list! Very cool.